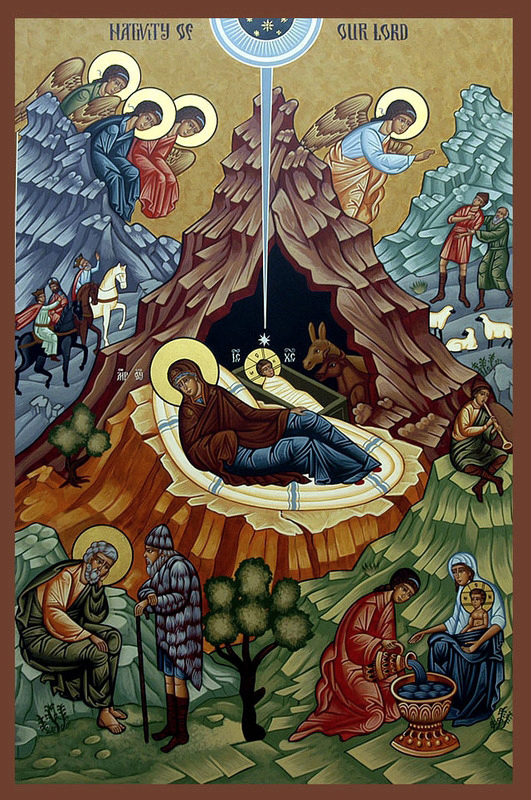 Thy Nativity, O Christ our God, hath given rise to the light of knowledge in the world: for they that worshipped the stars did learn therefrom to worship thee, O Sun of justice, and to know that from the east of the Highest thou didst come O Lord, glory to thee. Today the Virgin gives birth to the Transcendent One, and the earth offers a cave to the Unapproachable One. Angels with Shepherds glorify Him, the wise men journey with the star; since for our sake the eternal God was born as a little child.